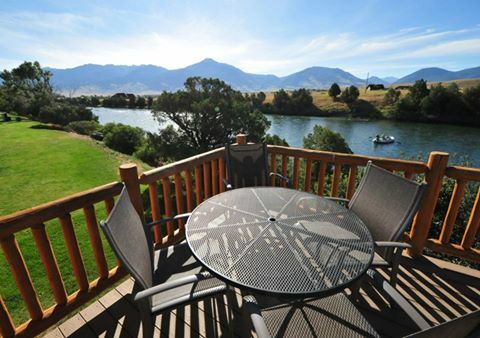 Private deck with BBQ grill, overlooking the Yellowstone River and the Absaroka mountain range. 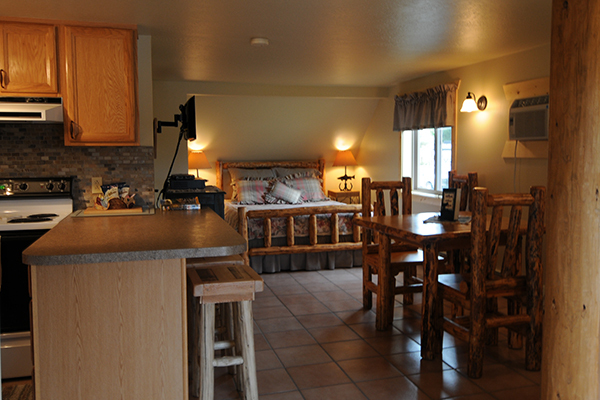 You will sit high above the Yellowstone River when you stay in our cabin. 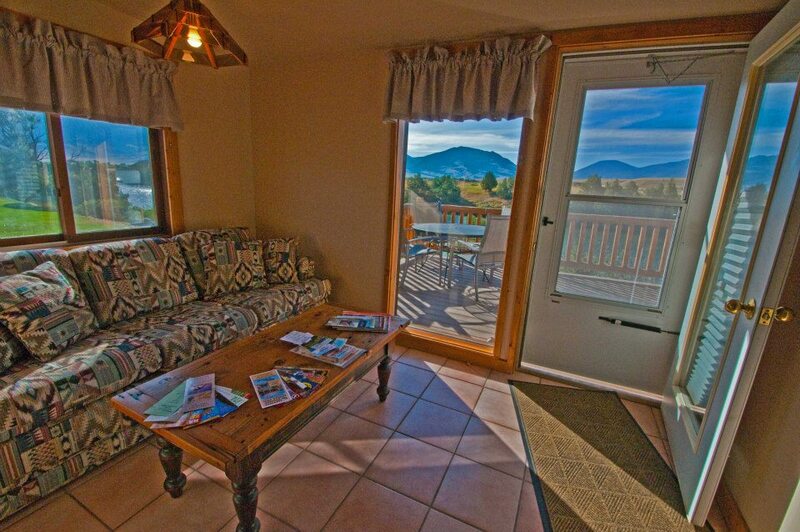 Watch the trout jump and the eagles soar from your private deck overlooking the Yellowstone River with an unobstructed view of the Absaroka Mountain Range. You can relax in the sitting room and enjoy the view through the picture window. Don’t feel like eating out at any of our five-star restaurants? 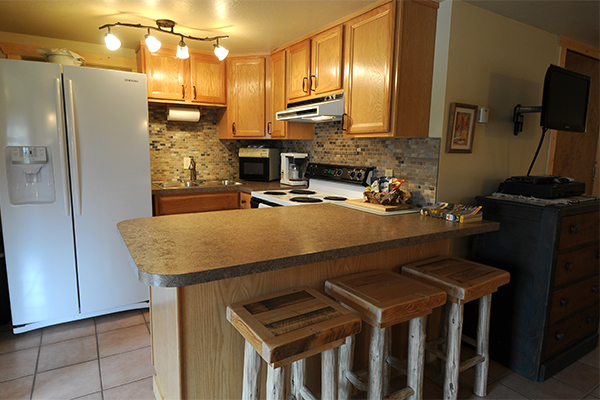 The kitchen is equipped with everything you need to prepare and serve meals. There is a full size stove with oven, refrigerator, and microwave. Also included are a coffee pot, dishes, tableware, glasses and cooking utensils. A BBQ grill is also provided for use on the deck. 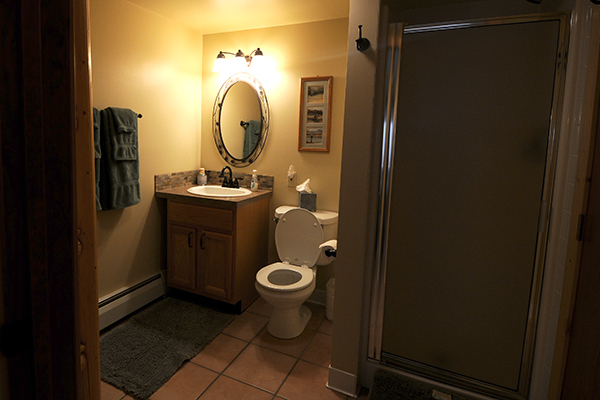 The River Suite Cabin requires a 3 night minimum stay.